Albany, US, 2019-Jan-23 — /EPR Network/ —Tire pressure monitoring system have witnessed an intrinsic momentum in the recent years, owing to the safety-first propaganda of the government. The central bodies are legislating stringent policies to offset the increasing number of road accidents caused by the bad tires. This has been a dominant factor for the breakthrough of tire pressure monitoring system. Asia Pacific, being the hub of automotive manufacturing, has been a leading player in the tire pressure monitoring market at a global level. The burgeoning population rate in the developing countries of APAC like China and India are continuously demanding for proper transportation facilities. The people of these countries are pushing the bars of their living standards and their purchasing capacities. It is estimated that these factors could support the growth of tire pressure monitoring system market with 4.47% CAGR through 2026. The rising concerns to ensure vehicle safety, emission of carbon, and fuel-capacity are the propellers for the spurring demand for the tire pressure monitoring system. The aforesaid insights are obtained from the report titled, “Tire Pressure Monitoring System Market – Global Industry Analysis, Size, Share, Growth, Trends, and Forecast – 2018-2026” which is available in the repository of Market Research Hub (MRH). The research report provides a broad perception about the tire pressure monitoring system market across the globe and at the regional level. The analysis has been made by keeping the base value (US$ Mn) & volume (Mn units) through 2026. This comprehensive report encompasses opportunities and limitations in the tire pressure monitoring system market. Porter’s five force analysis has been incorporated in the report to equip the companies with the competitor analysis. 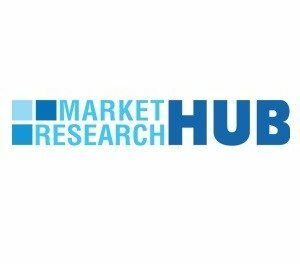 The study offers an opinionated view of the tire pressure monitoring system market depending on the type, technology, vehicle type, sales channel, and region. A thorough idea about the attractiveness of the market can be obtained by following the major market indicators present in the report. The regional split involves the present and the forecast for the tire pressure monitoring system market in North America, Europe, Asia Pacific, Latin America, Middle East and Africa. The market data mentioned in the report has been extracted depending on the market size, demand in the specific regions, growth rate, lucrativeness in the market, etc. A SWOT analysis representing the strong and weak areas of the market has been incorporated in the study. This analysis will help the companies to surpass the restraints by formulating practical strategies. The research also covers the major players across the globe to assess their strategies and provide a competitive edge. The prominent players include Robert Bosch, Valeo, ZF Friedrichshafen AG, Sensata Technologies, Inc., Continental AG, Denso Corporation, NXP Semiconductors, Pacific Industrial Co., Ltd., WABCO, NIRA Dynamics AB, Huf Hülsbeck & Fürst GmbH & Co. KG, Hamaton Automotive Technology Co., Ltd., Bendix Commercial Vehicless Systems LLC, Bartec USA LLC, ATEQ, and Dunlop Tech GmbH. The overview of each companies along with their financials, strategies, and recent trends in the tire pressure monitoring system have been incorporated in the report. Market Research Hub (MRH) is a next-generation reseller of research reports of different sector like Tires market research and analysis. MRH’s expansive collection of industry reports has been carefully curated to help key personnel and decision makers across industry verticals to clearly visualize their operating environment and take strategic steps.